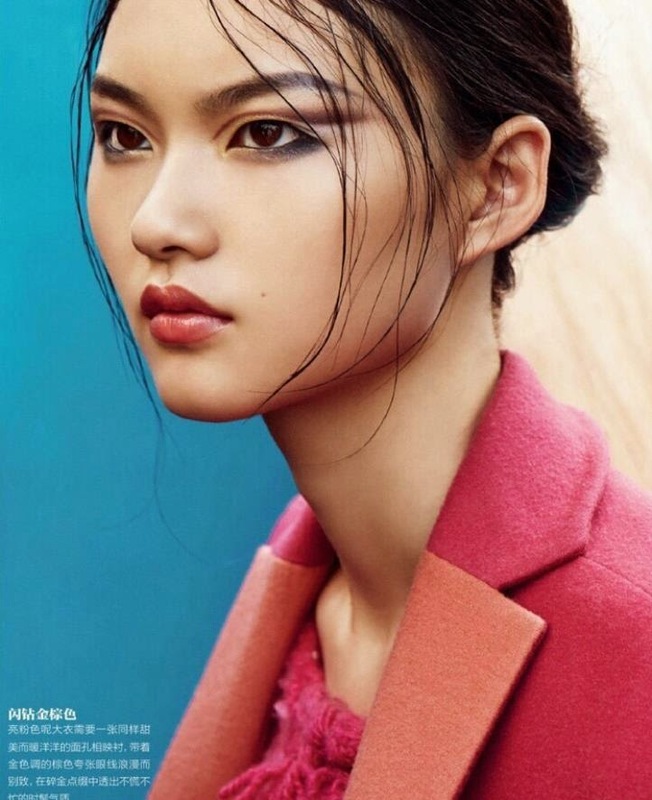 One of the most spectacular faces to emerge from this season's shows is Cong He from China. Signed with IMG Paris, she walked for Carven, Kenzo, Valentino, Chanel, Dior, and half dozen other shows during her first season. Her unique China doll face is hard to miss on the runway and she may be the one to resurrect the Du Juan look in the near future. Stunning shot, gorgeous model and amazing makeup! !